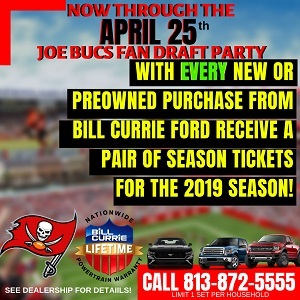 Now Joe knows that Bucs fans would have a hard time choosing between an intimate evening with Rachel Watson and a punishing running game where defenders are put on their backs time and again by a physical offensive line. Well, Joe has just the guy for you and his name is Carl Nicks. The studly offensive guard nearly drooled over the thought of punishing defenders the way Joe’s good friend Justin Pawlowski salivates over a Buffalo chicken tender sub at Publix. Nicks explained to the Tampa Bay pen and mic club after practice this morning how he gets off on running the ball. “The first thing, running the ball gets the defensive line tired and it helps your pass protection,” Nicks said. “Another thing is, knocking a guy down and watching him get up and seeing the tiredness and the hurt in his eyes, you just thrive on that. This dude is a monster! Glad to have him on the Bucs! he better be all thats advertised, looks like he could shed a few lbs. Does this mean we have to call Roy Miller the crawler? Becuase he is always on the ground? This dude is a freakin’ Man-Beast!! I can’t wait to see him opening lanes for Blount and Martin!! joe heard you got to meet rachel today, congrats. I bet you are still floating on cloud nine. oops didnt scroll down two more stories probably was covered already. Joe how has GMC doing against Brickhouse and Joseph? I remember watching the Saint O Line, and wonder why we did not have a line like that ? Brees always had all day to pass, and when they ran the ball, they flat pancaked people. Trueblood can be a brutal run blocker, with a nasty streak in him. I think Nicks is gonna be THE biggest addition we made all of this year. It all starts with the O Line, and I am glad he is on our team. I love reading quotes like that. Thanks Joe. LINCOLN, NEB. – New Orleans Saints offensive lineman Carl Nicks made a surprise visit at Nebraska’s practice on Wednesday to apologize to Coach Bo Pelini and Athletic Director Tom Osborne for bad behavior when he was a Cornhusker. Nicks said his class attendance was spotty and his work ethic lax during his senior season in 2007. Then, the weekend before the Cornhuskers’ pro day in March 2008, he got drunk and was arrested for refusing to leave a disorderly house party. Though Pelini, hired in December 2007, never coached Nicks, he banned him from the on-campus workout in front of NFL scouts. Pelini’s decision initially angered Nicks. “First thing I said was that I don’t even know this guy and he doesn’t know me,” Nicks said. But after thinking about it more, Nicks said, the punishment was justified. In fact, Nicks said Pelini’s decision inspired him to work “10 times harder.” He was drafted in the fifth round in 2008 and is a two-year starter at left guard for the Saints. Dressed in shorts and a Kobe Bryant Lakers’ jersey, Nicks approached Pelini after the coach’s post-practice session with reporters. They talked for a few minutes and shook hands. Osborne surprised Nicks by greeting him as Carl — “I didn’t think he knew my name” — and then told him to learn from his mistakes and finish his college degree as soon as possible. Thanks, Chris. That’s a great read. 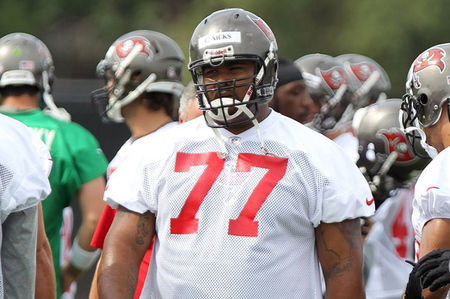 #77 is going to end up being not only the best free agency addition, he’ll be the best player on the roster.